I talked in my last post about the creep of technobabble into TV and movie Sci-Fi, and why I wanted more believability in my written fiction. 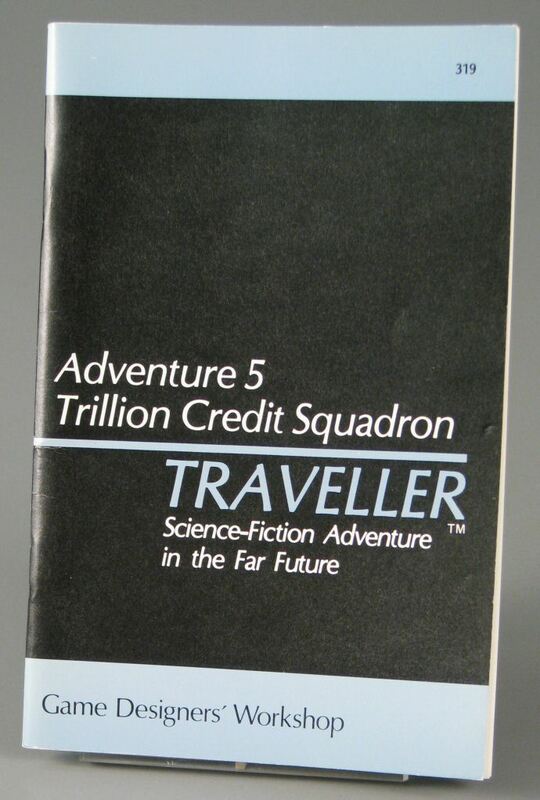 Back in the early 80s, I used to design ships as part of the game, Traveller. And then I designed how the elements of a multi-ship force would work together for the game expansion called Trillion Credit Squadron (anyone still play that?) Typical ship armaments included meson cannons, pulse lasers and railguns. Science fiction is fast becoming science fact. It’s a cliché, I know, but it’s happening in my lifetime. One of those exotic theoretical space weapons, railguns, looks likely become the main medium-range ship weapon for the US Navy over the next 20 years. They are already planning how to retrofit existing ships with enough electrical power in readiness. Armed with a whole load of real technical data on railguns, they were a pick for my weapons in the Human Legion universe. (A special thanks goes out to all those dads who filmed their children’s railgun science projects). So, what is a railgun? To make one, you take two parallel rails made from an electrical conductor (such as copper) and wire them up to a direct current supply. Place another conductor to touch both rails. This armature, as it’s called, must be able to move along the rails. 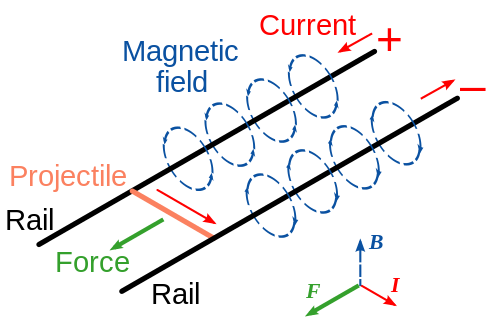 When you supply the electrical power, a magnetic field is induced in the rails which pushes the armature along until it falls off the end of the rails, which breaks the electrical circuit. In a school science project, the rails might be strips of aluminum foil taped to a board and the armature a steel bar that gently rolls along the board. Real ones look might use a conducting sabot for the armature. A sabot is a jacket that wraps around a shell or bullet, enabling it to be fired more effectively. Search the ground after one of the fight scenes in my Human Legion books and you will be wading through spent sabot casings. Anyway, back to Traveller and railguns. When I was designing heavy cruisers after school back in the 80s I used to imagine that when a railgun fired you would hear a hum of power build up followed by a whoosh. No bang. I expected it was recoilless too. Maybe that was because there was no explosive charge. With no exploding gases required to push the projectile along a barrel, there would be no recoil pushing back on the gun breech. Right? If you watch videos of real railgun test firings [such as this US Navy video below] there is a big bang when it fires. Lots of sound and lots of light. That’s what happens when you suddenly discharge a huge amount of power in an enclosed space, but it is not a chemical explosion as with conventional munitions. You don’t have all those hot, expanding gases pushing back against the breech. So does a railgun have less recoil than a conventional gun? The answer is that it has exactly the same recoil. It’s all to do with the law of conservation of momentum. It’s the same law that makes rockets fly into space. Also… It’s a basic law of the universe that you can’t get around by waving a technobabble phrase. So in going for believability, conservation of momentum is something I can’t ignore. I’ll cover more about railgun recoil in part2. Tim, very interesting indeed… thanks. Jean C.
I too am trying to write accurate and believable science fiction. The biggest problems for me to face are the enormous distances in space and the fact that AI are projected to get vastly more intelligent that humans in the future (and thus, remove any need for human protagonists). I now know that I am right. LOL! Glad to be of service. All you can do is grin and bear it as part of being a writer, and consider that at least you’re engaging your readers. That’s always better than not being read. Actually, any opposing momentum would be related to the mass and speed of the object propelled. An opposing thrust provided by say an ion engine would enable the. rail gun to stay in a predicted orbit. As the mass and speed of the projectile would be predetermined, very reliable and preset counter-thrust could be used for stabilization. In addition, the use of only fissile material projected at mach7 could possibly be enough to detonate it without a trigger. I’ll have to look up “Human Legion,” too. Delighted to help, Patric. After writing that post a few years’ back, my check for any new tech I dream up is whether it obeys conservation of momentum. If I can convince myself that it does, then it’s fit to write. I’ve never played Savage Worlds, but I’ve heard good things. Looks at a cursory glance like it’s core is GURPS with cool dice. Is that fair? Thanks for the info! I was curious because I used to play RIFTS, and the Glitter Boy armor had a shoulder mounted railgun and a stabilizer spike that would deploy form the heels into the ground automatically when it was fired to counter the recoil. I wasn’t sure if those were necessary but apparently they were!